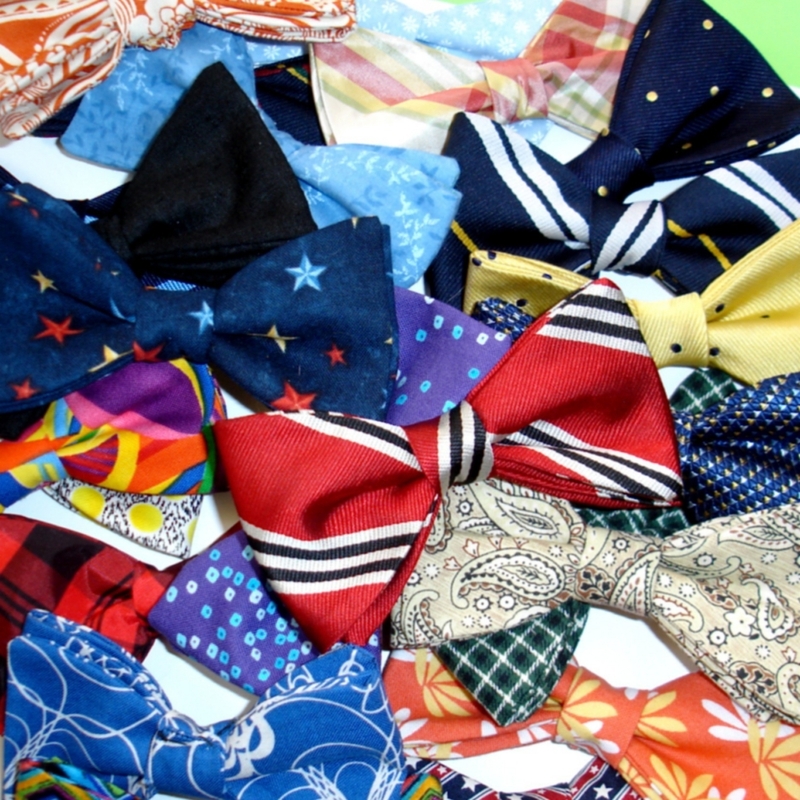 Custom made bowties made to order by owner. Choose one of our many fabrics or send your own. We also convert long ties into a new bow. Many styles and sizes to choose from. We also take orders for your formal events – bows, cummerbunds, and pocket squares to finish your look!